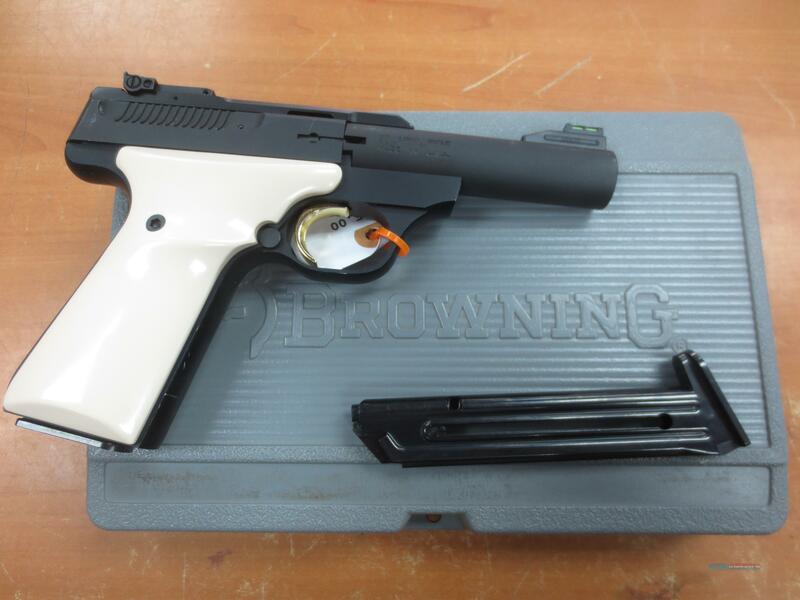 Description: Browning Buck Mark Micro .22LR Matte black finish faux ivory grips. 4 inch barrel comes with 2 magazines in original plastic case. This firearm has minor wear, and ready to hit the mark! Firearm is in 95% or better condition. A great little shooter at a great price!